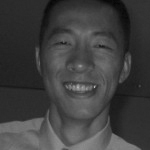 Jason Chew is a graduate of the University of California at Berkeley with over 10 years of experience as a scientist at leading biotech companies. Jason Chew is a graduate of the University of California at Berkeley with over 10 years of experience as a scientist at leading biotech companies. He is a published author in a peer-reviewed scientific journal and has worked with Accenture thought leaders to develop new strategies for innovation in the pharmaceutical industry. He has blogged on a variety of industry topics and covered the industry as a freelance journalist. Jason was most recently contributing editor at the biotechnology newsletter CurrinResearch.com.